In mid-June we traveled to Cooperstown, NY. As is usual on our vacations I found a local bookstore and ducked in to browse their selection of new and used books. When I travel, I customarily buy a cookbook(s) – either one that represents the place I’ve traveled to or a vintage, used cookbook, if the bookstore sells them. 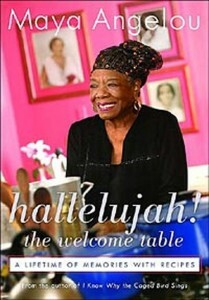 During this trip a used copy of Maya Angelou’s Hallelujah! 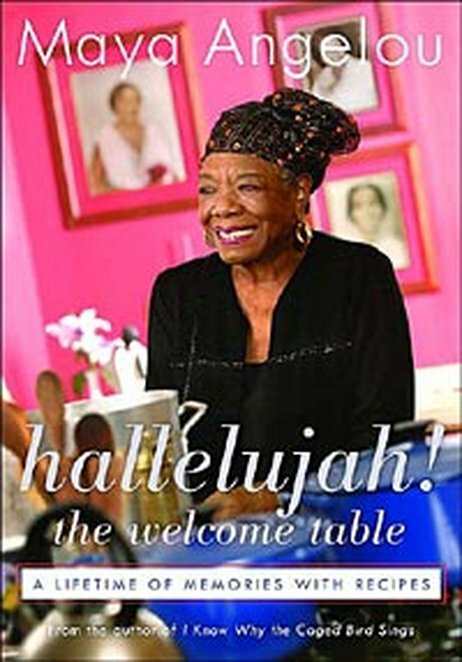 The Welcome Table: A Lifetime of Memories with Recipes (Random House 2004) caught my attention. With her recent death it felt like the right time to add one of her cookbooks to my collection. The recipes while simple are woven together with her exquisite writing style and an abundance of stories that bring the food to life. Print cookbooks remain popular, and sales steady, because they generally offer more than free recipes found with a Google search. Well-written cookbooks offer curated recipes, personal stories, and the personality of an author. Angelou’s cookbook is a perfect example of this description. Think of the cookbook you want to write. What are the untold stories inside of you that need to be told? Do they relate to food and cooking? If so, these stories, and your recipes, make popular content for a fun-to-read cookbook.